I’ve been thinking about this for awhile, but especially at those times when Dave Winer, one of the original fathers of blogging, writes about the necessity of having your own home on the social web — instead of a parcel of land given to you by one of the big silos — or when someone like blogging veteran Anil Dash writes a post like “The Web We Lost,” which I highly recommend. But it was a post from another long-time blogger, Dan Gillmor, that got me thinking about it this time. It isn’t until I see a post like Dan’s that I remember just how much has changed. 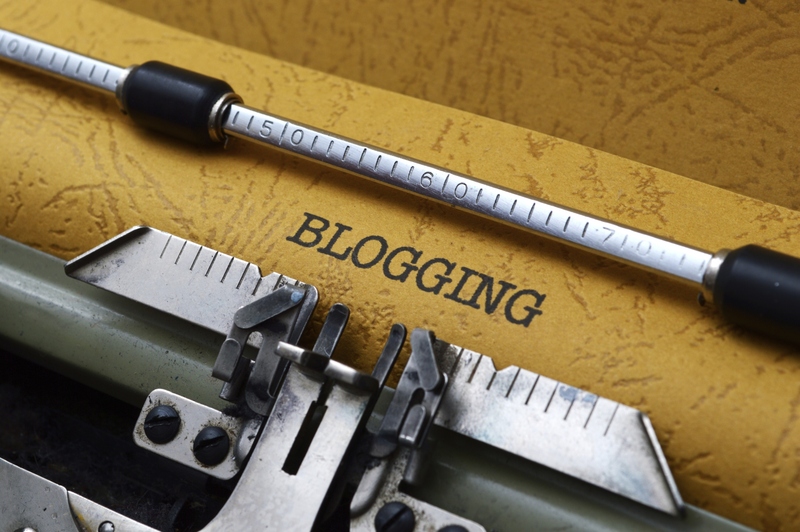 When I started writing online in the early 2000s, individual blogs were the norm — blogs by people like Justin Hall and Doc Searls and Meg Hourihan of Blogger, and people like my friend and Gigaom founder Om Malik and TechCrunch founder Mike Arrington. At the time, Gigaom was just Om’s thoughts about broadband, and TechCrunch was mostly about Mike meeting (and in some cases offering a couch to) struggling entrepreneurs at his house in Atherton. Part of what was so great about those early years of blogging was how chaotic it was — a flurry of posts linking to other bloggers (remember linking? ), comment flame-wars, and endless discussion about the value of blog widgets like MyBlogLog or your Technorati ranking, or how to set up your RSS feed. Everyone was tinkering with their WordPress or Typepad to embed some new thing or try out a new theme, and there was a natural (if occasionally tense) camaraderie about it. So what changed? Blogging grew up, for one thing — Om turned his blog into a business, and quite a successful one at that, and Arrington did the same and sold it to AOL. VentureBeat and Mashable and Read/Write and all the others did something similar, and gradually the line between blogging and regular media started to blur, although there are still flare-ups of the old “bloggers vs. journalists” dynamic from time to time. Meanwhile, plenty of individual bloggers got sucked into Twitter or Facebook and stopped blogging altogether. Obviously, it’s good that more people have social tools with which to express themselves without having to set up their own blog and learn HTML, and there are still independent voices blogging on Medium and other sites. There’s also no question that the social element of Twitter and Facebook is powerful, and getting even more so. But I think we’ve given over much of the conversation to proprietary platforms that remove content at will, and control the data underlying the content we provide — and that is very much a Faustian bargain. Before I start sounding like a World War II veteran who has had a few too many, the other thing that I liked about the blogosphere was just how personal it was. Yes, that often meant someone was up in arms or foaming at the mouth about something — often topics that perhaps didn’t justify the level of outrage being displayed (yes, I’m looking at you, Mike) — but there was still that quintessential element of blogging as defined by Winer: namely, the unedited voice of a person, for better or worse. This is also what appeals to me most about the approach that I think First Look Media is trying to take with its “magazines,” each powered by strong voices with expertise and opinions. But will they be diluted in the same way that Ben argues Nate Silver’s voice has been at the new FiveThirtyEight? Will Glenn Greenwald be as effective or compelling when he is managing a team of other writers? I don’t know. But that’s what I feel like we have lost from the old blogosphere days — that personal connection between a blogger and their readers. I think (as I argued in a post yesterday) that this kind of connection is the most powerful thing, and potentially also the most valuable thing that digital media provides — I think it’s why we gravitate towards people like Greenwald, or Ezra Klein, or dozens of other brand names, and it’s why using social tools to connect with a community of readers is so important. We’ve definitely gained a lot as blogs and other forms of digital media have become more commonplace: there are a lot more voices, and that’s good — and they are being listened to by more people. I don’t want to downplay that fact at all. But it feels as though we have lost the personal element, as everyone tries to build businesses, and we’ve allowed proprietary platforms to take over a huge amount of our interaction. So forgive me if I get a little wistful. Yeah I remember those days. And then I made a business out of blogging, and now blog has become a dirty word. I miss it. It did become a chore. I do enjoy Twitter and Facebook but conversation did get all ADD. It’s all true. I think the key is to find a balance, between the “personal” blog and the large impersonal platform. When there’s a smallish cadre of diarists publishing, it’s not as difficult to keep fresh content available on a daily basis. Which (imo) is critical if you want readers checking your site regularly, if not daily. We’ve been operating a community-driven state-specific political blog for around ten years (I’ve been there for seven or so), and some days we have a dozen or more diaries published, some days only a couple. The readership has grown slowly but steadily, but we also have quite a few elected officials reading and sometimes engaging. But even with those positives in play, a lot of individual contributing bloggers maintain and try to grow personal blog sites elsewhere. And as much as I hate to say it, if I visit those blogs a couple of times and find no new content, I stop checking in with them. On one hand I know how hard it is to constantly create new content, but on the other hand I’m just like everybody else. You have to keep me entertained or I will wander off and look for something shiny. I really REALLY miss the old days. Blogging scene was really what internet should be about: expressing your ideas in long form format and discussing with other people. Facebook and Twitter are mostly a venue for publishing narcissistic crap. Having just spent several days corresponding with Twitter to get my site unblocked, I miss the days when they probably didn’t even having the blocking capability installed yet.. This is my personal web site that I have worked hard to build with many personal, and I think, valuable blog posts and articles. Suddenly it was blocked by Twitter, it turns out “by mistake,” but I have no control over this. I also do prefer to read personal blogs by credible people I know rather than a collection of guest blogs at a site they manage. I say I am going to give it up, cut back, blog less. My wife says it’s a drug. But I don’t. An idea comes to mind, I see a story for which I have another angle and I write. Saturdays and Sundays are supposed to be off limits to blogging but I find the time. I used to blog 10 articles a day. That was mind numbing and most of them were not great. Now I think about stories for days and weeks and then they get done. I obsess about the featured image but rarely touch a story afterwards. There is always a place for well written prose with a POV. What I’m noticing is that there are more and more post-modern or hyper-current people that seem to forget that the mainstream is a solid two steps back. It’s as if there is a new digital divide differentiating itself out of the original digital crowd, splitting the digerati into two groups: a hyper-current group and a “normal tech savvy” group. This new digital elite are so in the know that their understanding of now is skewed drastically toward the bleeding edge, so much so that they forget that the rest of the population is still doing what they used to do 4 or 5 years ago. The blogosphere is alive and well. I’m very confused. What’s probably changed more are our own habits. The blogs are still there – there are millions of them. They are perhaps harder to find, which is an altogether different discussion. I read more blog posts these days than in the old. They just happen to come from many more voices. It lacks the comfy sofa feel of reading a consistent voice but Iâ€™m convinced that wasnâ€™t a good thing and this is better. Think of Medium and how everyday there is a heap of good posts to read. From who? From many voices. Also Mathew, you are a community evangelist, you are a writer, a blogger, a journalist. It was and is your job. Those days would have felt different to you than to us casual readers. It was quite difficult for new voices to break into the circle of names you mentioned. That we can all pretty much write down the same list of names is disheartening. Now, everyday, I get to hear from experts who only have time for that one brilliant post a year or even that one authentic Tweet. Those are good points, Paul â€” thanks for that. I read more blog posts these days than in the old. They just happen to come from many more voices. It lacks the comfy sofa feel of reading a consistent voice but I’m convinced that wasn’t a good thing and this is better. Think of Medium and how everyday there is a heap of good posts to read. From who? From many voices. I guess my blog belongs to the ‘old blogosphere’ type. Really? That’s like a parody of bad writing. Speaking of which, “Community Guidelines” is misspelled under the Comment box. Buh bye. Thoughtful post as always. Anecdotally, judging from a couple of the comments above and many elsewhere, it seems that a lot of people are just not bothered about the “sharecropping in a silo” argument. And of those who are, an awful lot seem to be spending their days on Twitter without much of a thought as to how and when Twitter should be replaced with something more free. Except Dave Winer, of course. We have ourselves to blame for this decadent situation. Agree with lots of what has been said. I blogged regularly for 15 years but it’s been on a hiatus for the past 6 months or so. I didn’t stop because I ran out of things to say or because of spam; I stopped – no, paused – because I didn’t have time to write “well enough”. I wish I did. Ironically, some of that time got transitioned over to Twitter that I have a love-hate relationship with. It’s impossible to have “real” conversations on Twitter; too often they turn into arguments fuelled by misunderstandings thanks to the paper-thin context and short-form messages. I do miss the “blogosphere” and I hope the current phase will take us someday back towards a more meaningful conversational, democratic system. I think you may be out of touch. 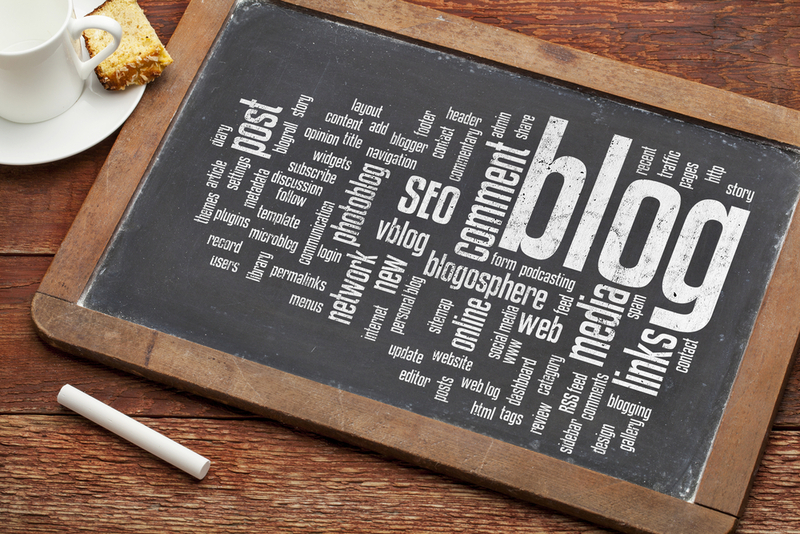 There are a number of blogs with relatively small audiences that connect with their followers on a regular basis. When you get big, it skews your view, which may, very well, have happened to you. Good convo, though! People of the margins, self publishing is our opportunity to change the world! Pick a topic, start a blog, research hard, jump in front of the news and change the world! OMFG we can’t let this opportunity pass us by. If I didn’t have a company (the only thing more exciting than blogging) and a family, I would jump right into the global conversation. It’s never been more accessible! I know we both remember when there was no blogosphere, and that it was still in it’s infancy when we reconnected a decade ago. It was exactly this topic that we landed on. Sunday afternoons were spent, by me at least, reaching out to the odd collection of folks who connected over the ether. Now it’s everyone’s domain to express favor and outrage in 140 chars or less, or simply press RT. I used to try to share my insights with the other people who wandered into this space. Now the thoughts of the average blogger are “lost like tears in rain”. The blogosphere suffers from ADD, between the latest popstar’s shark jump or pending wearable tech. I do miss the wide eyed wonder of, “am I being heard” and listening to what others had to say. However I do love the digital water cooler chats around the twitter machine. Funny tho, just yesterday a buddy of mine was foaming at the mouth about the fact that we don’t link to each other anymore. I’m glad that so many more of us have a voice, however limited and I don’t miss the flaming wars at all. All we can hope is that we are being heard as we prepare to hand the mantle over to the next group of users. I’ll save you a seat on the bench at the mall. I stopped blogging because it became a chore. Between coming up with authentic new posts, topical or otherwise, the relentless growth of spambots and comment trolls faster than my traffic grew and just keeping up with the security updates, I was spending time blogging that I could have been using working on my open source projects. At one point I had three Moodle sites. Then I got a Blogger blog. Then I got a Posterous blog. Then I converted the Moodle sites to Drupal and then to WordPress. Then I boiled them all down to a single WordPress blog. I did a blogathon – a post a day for an entire month – in May of 2012, and discovered what a chore it was. I didn’t write another blog post until August of 2012. Now it’s just a static Octopress blog that’s mostly release announcements for the open source projects. I tweet a lot, and I have four Scoop.it topics. And I’ve even dropped way back on commenting on other folks’ blogs. I deleted my Disqus and LiveFyre accounts, for example. I don’t miss blogging or reading “independent voices from the blogosphere” any more than I miss schelpping files around with FTP, flame wars on Usenet or battlebots on IRC. I’ve moved on, and if Twitter or Scoop.it becomes unsuitable I’ll move on again. Life’s too short to spend time on nothing but chores. Thanks, Edward â€” I guess I never came to see it as a chore, even when I was writing three or four posts a day. I enjoyed the back and forth with other bloggers, but that doesn’t seem to happen as much today. I agree. We have lost an element of personal expression on the Internet esp on the tech world. From intellectual deep expressions now to 140 superficial (re)tweets. Short twits have it’s place but doesn’t replace well written blogs. The 3rd party proprietary platforms is a concern: our content is ours and theirs. And people doesn’t seem to realize this important fact. How I agree with you on that comment!